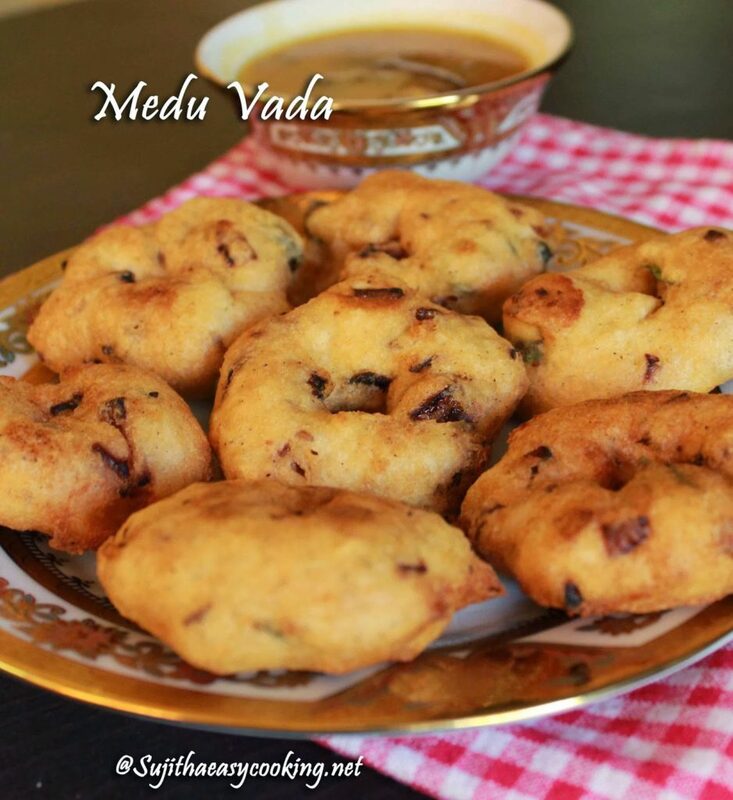 Medu Vada, the most struggled dish after i entered into the blogging world..there its a big journey behind this post, this is my dream one, im not a big fan of deep fried snacks, When Jess boy is 1 yr, every one said medu vadai is a healthy food for babies.. Unfortunately i have zero knowledge to make it, when ever i try this, it ends with shapeless vadai, or it drink more oil.. these happens often. 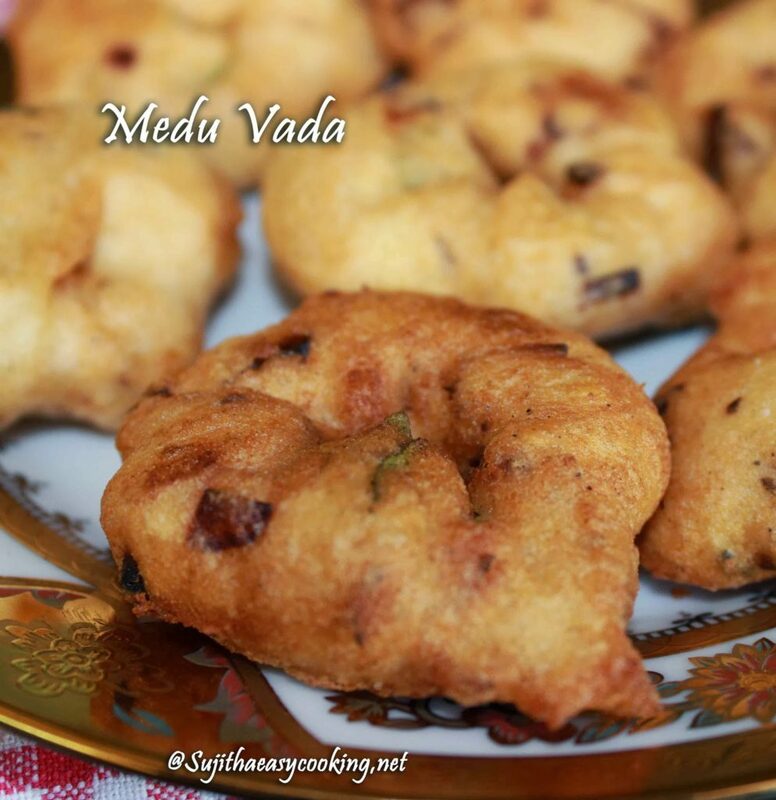 finally i thought using of ladle.. that helps me… and here with proud im sharing my medu vada post… in this blogging walk im so happy about this post..:) Do Try and let me know how it turns for you..:) here we go with our medu vada recipe..
* Wash the urad dhal/Ulutham parupu and rice in running water, Cover it with water till they immerse, Soak this for 1 hour. * Grind the Dhal to buttery Consistency.. Grind them by sprinkling some water drops, For the final check dip your finger in water and immediately dip the finger to the grinded batter.. it’ll not stick thats the right time to take out (I grind this in my mixer, if you have large quantity use your grinder), refrigerate the batter for 15 to 20 mins. * Add the Chopped Onion, Green chillie, Pepper powder, Pepper corns, Jeera, salt and Curry Leaves to the batter and mix em up..
* Heat the kadai with oil, Lot of techniques are there to shape the medu vada, this is one among them, take a flat ladle, grease the back side with oil or few drops of water, scoop some vada batter over the ladle, make a hole in the center, reverse it over the kadai and drop the vadai into the hot oil, Keep in medium flame. * Flip the Vadai and cook till they are golden brown in color. * Soak only for 1 hour, half an hour is quite enough to take them, if your vadai drink oil then this may one among the reason, also if you add more water ever in 1 tsp excess water spoils the entire batter and it drinks more oil. * Use Good Variety of Urad dhal for vadai. * Dont grind for too long, check once they get grinded and dip drop your finger to check the Correct time to take out.